Ok, who does not love meatballs? 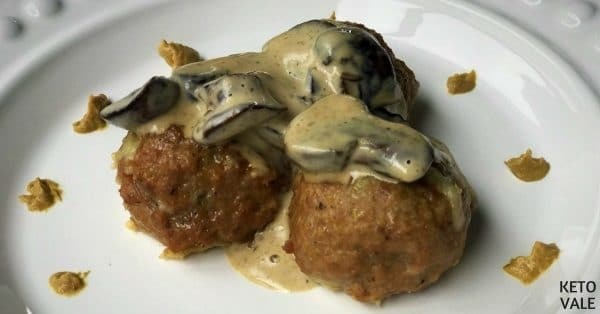 Meatballs are simple to make and it is one of those recipes that you can put together in a few minutes and feels like a very elaborated dish. 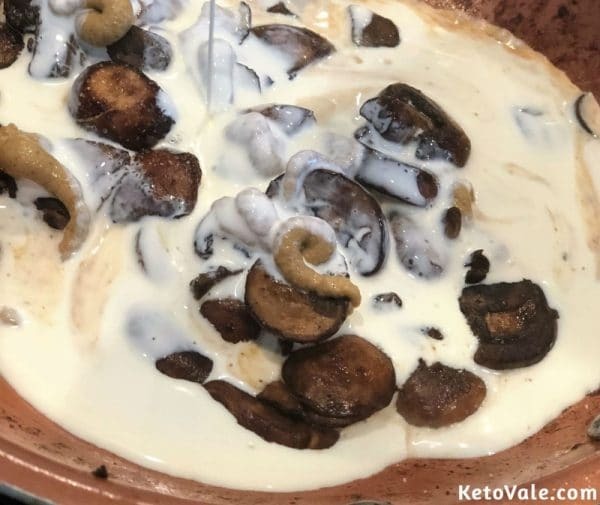 What makes this dish so unique is the cheese surprises you with each bite and the luscious creamy sauce going over it is utterly delicious. This is just one of many options that you can play with this recipe. You can always use beef instead of turkey and use any hard cheese as the filling. You can even use vegetables to fill the meatballs if you are a vegetable lover. You can also add herbs to it, and substitute the mushrooms with capers or sun-dried tomatoes. 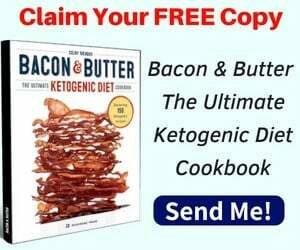 It is a very easy sauce to make and you use any ingredient that you have on hand. 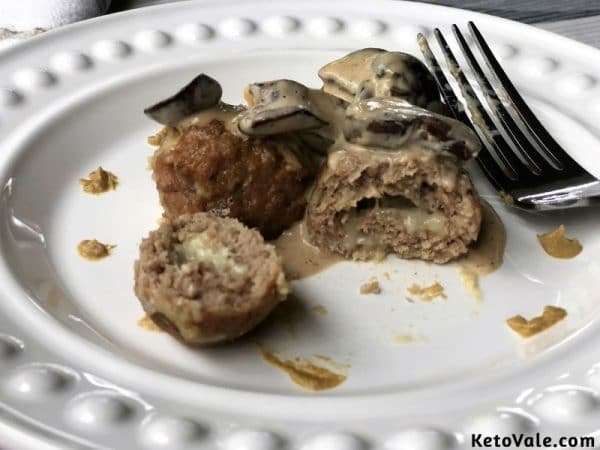 As far as the cooking method, we decided to bake the meatballs in the oven but this recipe can also be made by cooking the meatballs on stove top. You can start by heating a little of coconut oil and pan fry the meatballs until they are golden brown. 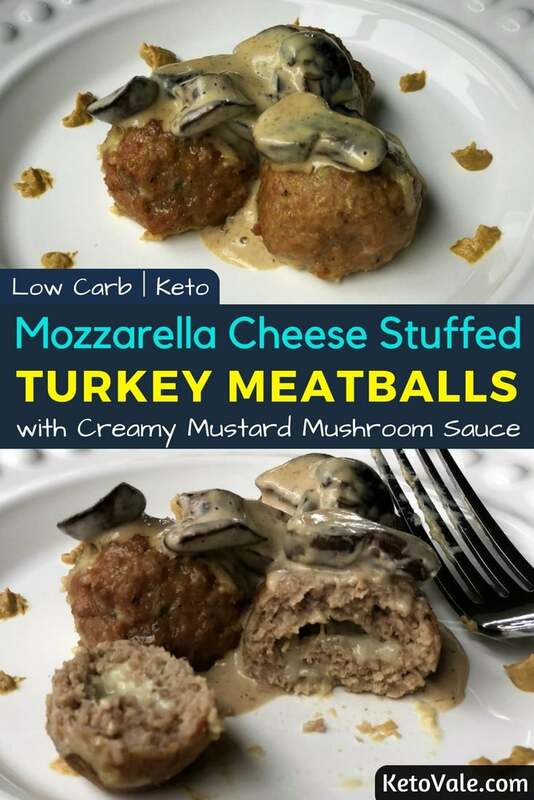 If you decide to use this technique, it is recommended not making the meatballs too big to avoid then being dry on the outside. 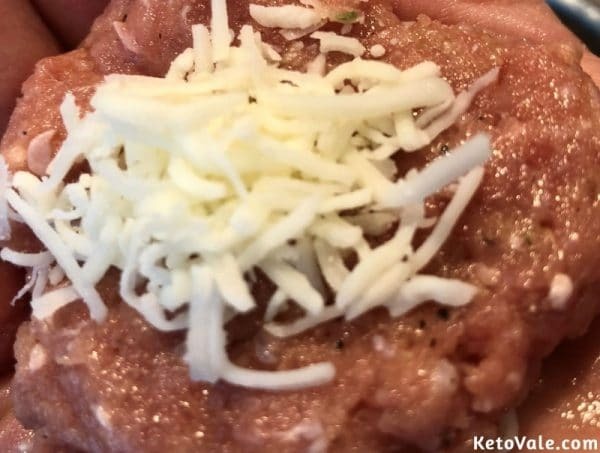 You can serve these meatballs with zucchini spaghetti or any low carb salad. In a mixing bowl, add all the ingredients excluding the mozzarella. Stir well to combine the ingredients fully. 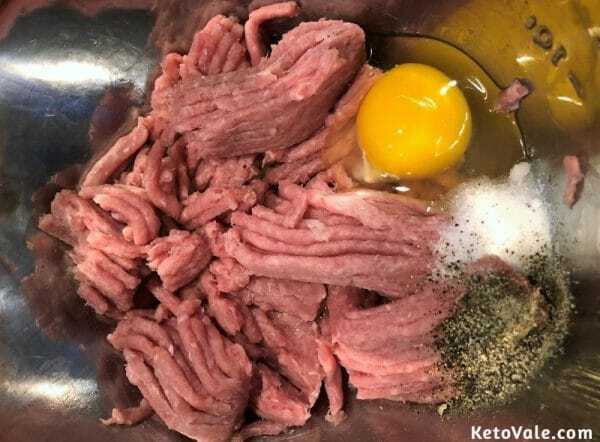 Prepare a ¼ cup measuring size to form the meatballs. Stuff ½ teaspoon of cheese inside. Completely cover the cheese with meat. Transfer the meatballs to a baking dish and bake for 15 minutes until the meat turns golden brown. Remove from the oven and set aside. 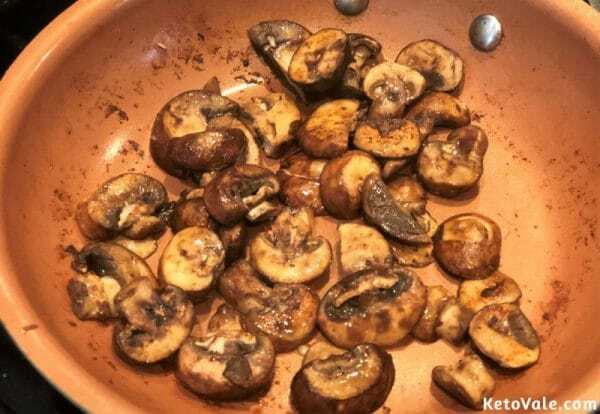 While baking, sauté the mushrooms in butter. Add a dash of salt to the cooked mushroom before turning off the heat. Pour the Dijon mustard and cream on top. Serve the meatballs in a plate and drench them with the sauce. Enjoy! This recipe should make approximately 12 meatballs (4 servings of 3 meatballs).